In the last two decades, significant progress has been made on developing new nanoscale mechanical property measurement techniques including instrumented indentation and atomic force microscopy based techniques. 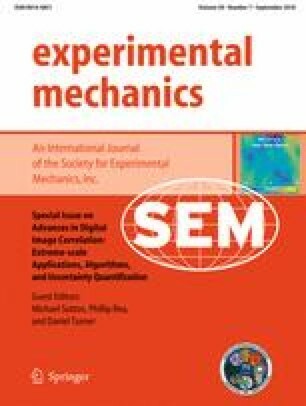 The changes in the tip-sample contact mechanics during measurements uniquely modify the displacement and force sensed by a measurement sensor and much effort is dedicated to correctly retrieve the sample mechanical properties from the measured signal. It turns out that in many cases, for the sake of simplicity, a simple contact mechanics model is adopted by overlooking the complexity of the actual contact geometry. In this work, a newly developed matrix formulation is used to solve the stress and strain equations for samples with edge geometries. Such sample geometries are often encountered in today’s nanoscale integrated electronics in the form of high-aspect-ratio fins with widths in the range of tens of nanometers. In the matrix formulation, the fin geometries can be easily modeled as adjacent overlapped half-spaces and the contact problem can be solved by a numerical implementation of the conjugate gradient method. This method is very versatile in terms of contact geometry and contact interaction, either non-adhesive or adhesive. The discussion will incorporate a few model examples that are relevant for the nanoscale mechanics investigated by intermittent contact resonance AFM (ICR-AFM) on low-k dielectric fins of high-aspect-ratio. In such ICR-AFM measurements, distinct dependence of the contact stiffness was observed as a function of the applied force and distance from the edges of the fins. These dependences were correctly predicted by the model and used to retrieve the mechanical changes undergone by fins during fabrication and processing. A correction to this article is available online at https://doi.org/10.1007/s11340-019-00483-6. Certain commercial equipment, instruments, or materials are identified in this document. Such identification does not imply recommendation or endorsement by the National Institute of Standards and Technology, nor does it imply that the products identified are necessarily the best available for the purpose.